Dreaming of where to go for Spring Break? You know you want relaxation, beauty, a get away from your hum drum, every day, land locked life. Why not create a spring break vacation that provides a refreshing, fun-filled contrast to, not only the everyday responsibilities, but also those close to home, stand by getaways? You achieve a memorable spring break with gentle breezes, sunshine, white sand, Jamaican music rhythms and clear blue oceans that sparkle in the daylight and shimmer in the moonlight. It just may be a hop, skip and a plane ride away. Yes, thats right, planning your most memorable spring break to the well know Caribbean Island of Jamaica may be the best plan of your life. Imagine Negril, Jamaica where you can find breathtaking beaches, lovely country sides and the home of the annual crab & sea food festival that awaits you. The popular spring break destination of Negril, Jamaica is a place you can let your hair down, a place to breathe in the ocean air, feel the mist on your skin, a place to stand barefoot and feel the sand in your toes and experience nighttime action by the sea. 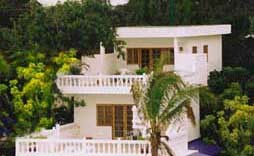 The action packed West coast of the Island of Jamaica is the home to Negril where the ocean front and nearby countryside provides the environment in which to paint the vacation you have always dreamed. This spring break Jamaican destination is a spectacle of sea side activity including cliff jumping, parasailing, snorkeling, horseback riding, sunset cruising, morning beach walks, nighttime action by the sea with beach parties and live reggae concerts, water sports for the spectators and adventurers alike (or those somewhere in between). .. solo, with a romantic partner, good pals or the family  for spring break you know the Caribbean ambiance that Negril, Jamaica has to offer is this refreshing contrast your mind, body and spirit are seeking. People flock from all over the world to enjoy this delightful, action-packed, ideal spring break west island town of the Caribbean island. 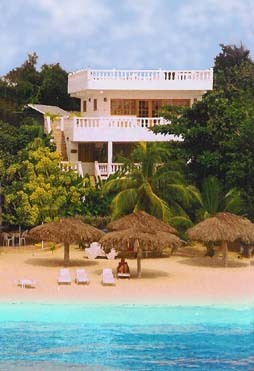 Negril is known by its locals and visitors alike for the most beautiful beaches the island has to offer. In addition to the seaside activity and excitement, Negril offers an ideal environment for strolling walks in the early morning or romantic evenings with a rich, colorful, sweet smelling, music filled streets of well known local cafes, breweries, night clubs, bar & grills, gaming rooms. Isnt it time to slip into a fun filled, unforgettable spring break destination?